Klybni4ka.net is an authorized retailer, We only sell authentic dresses. Обычно отгружается в течение 1-12 недель. По всему миру. Go from ordinary to angel in style 77551F. 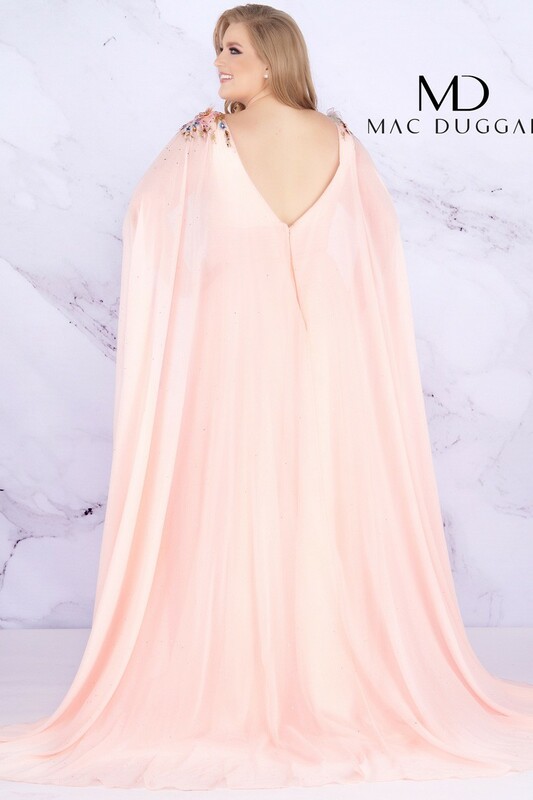 This blush pink dress will make you feel on top of the world with its long and flowing cape. Beadwork and gentle flowers stretch from the straps of the dress to mid waist. This dress is perfect for any occasion!